Usually, when we talk about Snapchat, we usually mention what this update or filter does for teenagers. That's the age range we expect to see on there and they're incredibly talented users. This doesn't mean that older people don't use the service, they just might use it in a different way. A recent study by the Wall Street Journal has, in fact, discovered that the number of users aged 35 and over has increased. This study was just focused in the US, but it gives you a good idea as to how many people are actually using Snapchat. In general, 70% of all smartphone users have Snapchat on their phone and there's no way to say how many of those who don't use the app may have in the past but just decided it wasn't for them all out. Out of these users in the US, around 14% of them are aged 35+. This might not sound like a huge amount, but that's a 12% increase from 3 years ago when it used to be just 2%. That is a dramatic increase considering most people do just associate Snapchat with teenagers. It's not really much of a surprise when you look at some of the people who've been joining Snapchat. 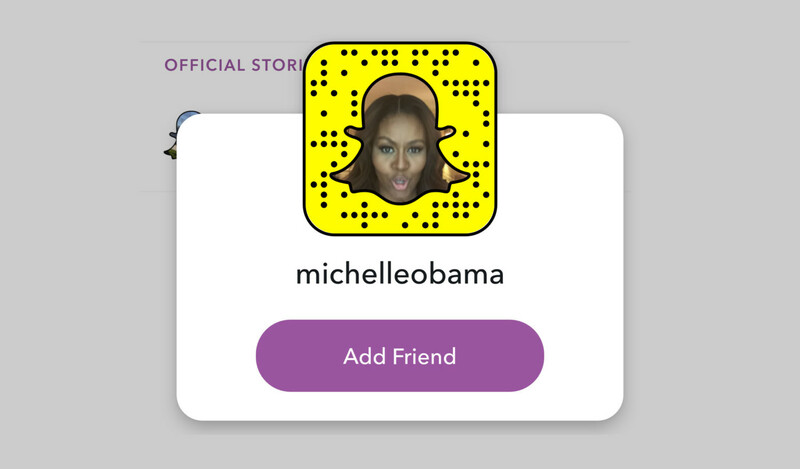 In the US Michelle Obama is on Snapchat and in the UK Jeremy Corbyn joined too. Politicians have realised that using Snapchat can allow you to access your supporters in different ways. This means that they can get their messages across in a way that might not seem so serious. Michelle Obama is an icon for a lot of women who are bound to want to emulate her and see what she wants to share. Of course, this does mean that a lot of teenagers are going to wind up disappointed that their parents may decide they want to send them Snapchats. It could, however, be useful if they're on holiday and they don't have data. If there's wifi, then they can snap a photo of where they are so their parents can come find them or if they need to show their parents something they want that they want them to come back and get. As time goes on more adult users will likely pick up on the service. A lot of users on the service are already in their 20's and not only will they age, but they'll get to know older people who decide to get on there.